Located on Nova Scotia's south shore, and only fifty kilometres from Halifax, the provincial capital, Peggy's cove faces the ocean, on the eastern side of St. Margaret's Bay, a large expanse of water fringed by a number of towns and fishing villages, very popular with summer visitors. An idyllic fishing village, Peggy's Cove is one of most popular stops in Atlantic Canada, set on rocky shores, with its lighthouse and village a photographer's favorite subjects. Despite its popularity, this tiny fishing village has been able keep the same relaxed atmosphere that has made it famous. 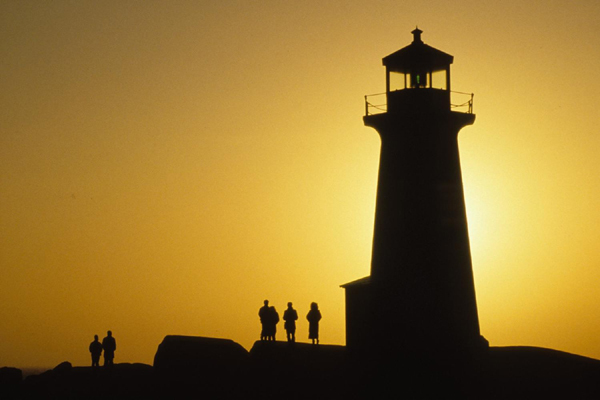 SOURCE: Nova Scotia Tourism, courtesy of Canadian Tourism Commission.